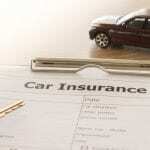 We’ll help you have a better understanding about the benefits and options involved with full coverage auto insurance. Full coverage auto insurance is a type of policy that most people opt for, not only because lenders require it, but because of the risks that are mitigated by having it. Here at Curtis Helms Insurance in Charlotte, North Carolina, we are a great source for getting auto insurance quotes and same-day coverage, in most cases. We provide exceptional customer service so that we can accurately advise you as to the types of coverage and policy limits that are best for your situation. Standard liability insurance is mandatory so that you can legally drive your vehicle on our highways, but this coverage is not enough for most people as it only covers damage you inflict on others. It doesn’t cover the damage to your vehicle or a host of other options you can put into a full coverage auto insurance policy. When you call us to discuss full coverage auto insurance, we’ll learn as much as we can about your risk tolerance and provide you with the cost to add certain coverages to your policy. For example, you might be interested in towing, rental reimbursement, uninsured/underinsured motorist bodily injury coverage, or specialty add-ons that vary from one insurance company to another. In addition, we’ll discuss your options for liability limits and deductible amounts. The goal is to provide you with the full coverage auto insurance that protects you at the premium amount your budget can cover. If you would like a better understanding about what full coverage auto insurance is and the options available, don’t hesitate to contact us. We’ll make sure you are well-informed, so you can make the right decision for your situation. Call today to learn more about any of the insurance coverages we can assist you with, including auto, home, life, and commercial insurance.